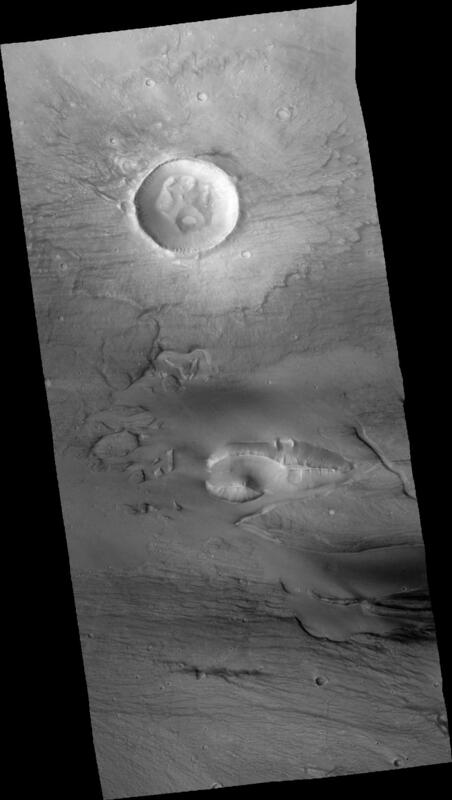 This orthorectified image was created by projecting an image from the Mars Reconnaissance Orbiter Context Camera (CTX) onto a Digital Terrain Model (DTM). The DTM is available under the “Derived From” section on the right of this page. This orthoimage was produced to understand the properties of large lava flows on Mars. NOTE: Some artifacts may remain even after editing.